A WiFi or Smart Thermostat is the next generation of home automation for controlling the cooling and heating in your home. 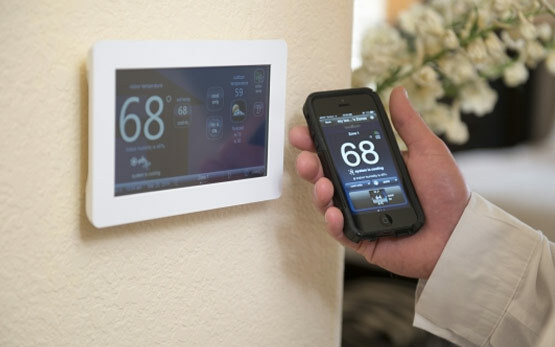 Not only can you control your air conditioning system from the actual thermostat mounted on your wall but you can also remotely access it from your smart phone , tablet or laptop computer. The remote access feature allows you to see actual indoor temperature and humidity readings while you're at work or away from your residence for any length of time. These features can be utilized to prevent extended down time of your system while you're away from your residence and mitigate the potential build up of mold like substances in your home. At Smith Services we offer a wide range of WiFi or Smart Thermostats that can be installed to meet your homes and your personal needs. 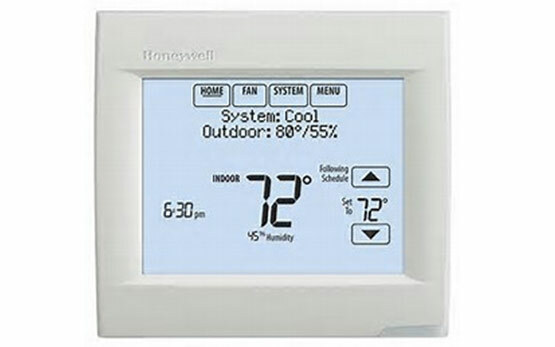 The thermostat installation and set up can be done during the course of one service visit. Note that some WiFi thermostats require that an existing wireless router be present and actively working. 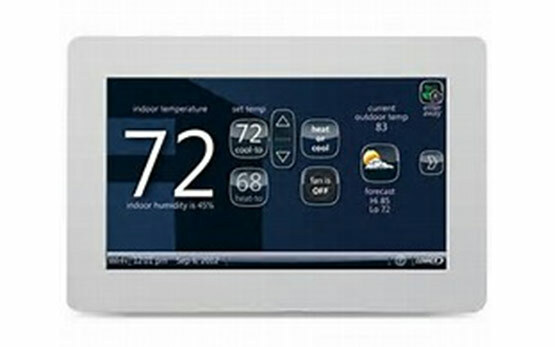 For more information about WiFi or Smart Thermostats, contact us.